Wednesday was a red-letter day at the Texas Capitol, as a state budget was approved by the House late into the night, increasing spending by 16 percent overall. Local governments played a large part in advocating for this increase in spending. By contrast, the House State Affairs committee approved that same day HB 281, a bill by Republican Rep. Mayes Middleton to end taxpayer-funded lobbying (if you’re not sure what that is, read our primer here). Meanwhile, out in the hallway, legislative offices received visits by a cabal of government and big-business representatives attempting to derail religious liberty, free enterprise, and freedom-of-conscience bills. Some of these same kinds of taxpayer-funded officials and employees testified against HB 281 in February. Though the bill was popular with the grassroots, several local government officials called it an effort to “hush” them. Bill supporters, on the other hand, complained about the very thing taking place in the hallway on Wednesday. 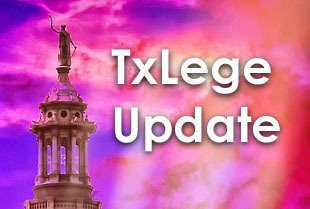 This coalition was formed in opposition to last session’s Texas Privacy Act, SB 6, which they dubbed “the bathroom bill.” SB 6 was blocked by outgoing House leadership, but a Trump executive order addressed much of what the bill sought to do, which is to keep public school and government building showers, locker rooms, restrooms, and changing areas gender-specific. Also on the list was Texas Competes Action, their related PAC which dropped $19,000 against Republican candidates in 2018. One opposed bill in particular, SB 15 (amending the state labor code to prohibit cities from setting terms of private-sector employment, e.g. sick leave mandates and criminal history searches), received a vigorous defense from its author, calling out a possible double-standard when it comes to messaging from the chambers of commerce. Creighton said a San Antonio city legal brief found no discrimination in SB 15, despite their show of force made along with the Texas Competes coalition. 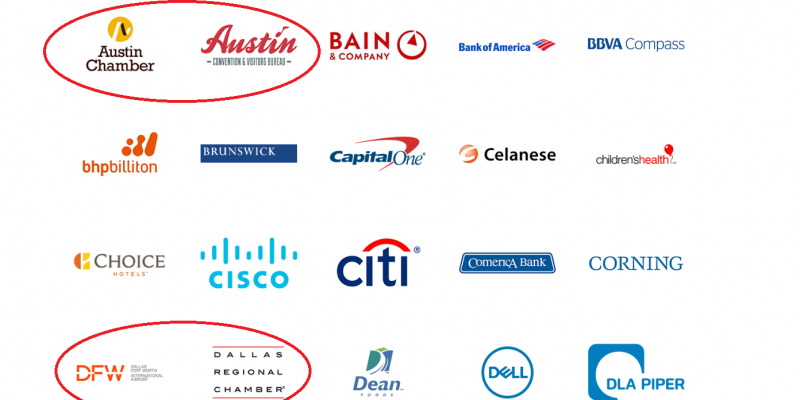 From the hip: The timing of Texas Compete’s visit couldn’t have been worse for opponents to the taxpayer-funded lobbyist ban bill. It now heads to the House Calendars committee where it is expected to receive a House floor debate. The Senate would likely concur. As for the apparent hypocrisy Sen. Creighton pointed out, it’s clear that large corporations are just that: large entities where the left hand may not know what the right hand is doing. 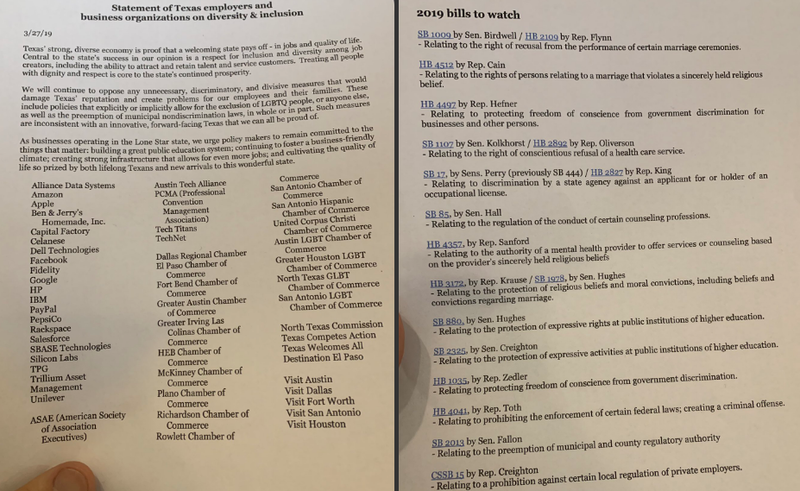 For reference purposes, the list of bills Texas Competes was opposing were: SB 1009, HB 4512, HB 4497, SB 1107, SB 17, SB 85, HB 4357, HB 3172, SB 880, SB 2325, HB 1035, HB 4041, SB 2013, and a committee-amended version of SB 15 (CSSB 15).